Province of BC, and the Royal BC Museum, I am inspired by the people that I know. Huynh won Canada’s first gold medal at the Beijing Olympics. work as a pioneer missionary for Chinese communities in BC. “voted in” including myself. More people were voted in for November. Adrienne Wong is an actor. In 2008 she starred in the one woman play “My Name is Rachel Corrie” for Neworld Theatre. It opened in Montreal than played in Vancouver to packed houses for an extended run. Bill Wong Modernize Tailors – Bill is the octogenarian former UBC Engineering grad who couldn’t get hired in post-war Canada because of racism, so he put his energies into his father’s tailor shop. Tailor Made is the CBC documentary about Chinatown’s Modernize Tailors featuring brothers Bill and Jack Wong and their family story. Grace Chin is a writer/actor. She wrote and performed in “The Quickie” is very Vancouver play about diversity and expectations in relationships. Last year was her first written theatre play with partner Charlie Cho. “The Quickie” is written solo by Grace. Wow… now if only I could get my own writing projects off the back burner! Brandy Lien-Worrall – In 2007 Brandy led 2 writing workshops which produced the book Eating Stories: Chinese and Aboriginal pot luck. She also bravely battled breast cancer. Championships, and last November won gold at the Grand Prix in Paris. Raymond Louie – ran for the Vision Vancouver’s mayor nomination in the spring – and in the fall he was nominated for a NAAAP award. I endorsed Raymond for his nomination: Todd Wong supports Raymond Louie’s campaign to be Vancouver Mayor. Raymond came second to Gregor Robertson for the mayor nomination, and on November 15th, he was re-elected to Vancouver City Council with the highest number of votes for councilors. Dr. Kerry Jang ran for City Councilor. He is a hard-working community builder, who is also on a national committee for Mental Health, and a professor of Psychiatry at the UBC School of Medicine. It was easy to give my endorsement for Kerry. In 2006 he was named academic of the year. In 2007, he was named to the BC Community Achievement Award. In 2008, he was elected a rookie Vancouver city councilor. 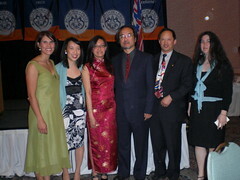 Victoria celebrates 150 years of Chinese Canadian History with a grand dinner and awards. It was a grand party at the Empress Hotel in Victoria, organized by the Victoria Chinatown Commerce Association. My great-great-grandfather Rev. Chan Yu Tan was awarded a Community Achievement Award. and my grand-uncles Daniel Lee and Victor Wong represented the Chinese-Canadian veterans for their special award. Ed Wickberg is known in our community circles as an honourary Chinese Canadian. He was a professor emeritus for the UBC History department. He contributed so much to the understanding of Chinese Canadian history and was the founding president for the Chinese Canadian Historical Society of BC. 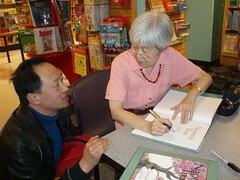 I met Betty during the writing workshops for the Chinese Canadian Historical Society. Our contributions were published together in the anthology Eating Stories. She always brought smiles and great positive energy wherever she sent. Betty Ho goes to that big kitchen in the sky. This entry was posted in Asian Canadian Cultural Events, Canadian Identity, Canadian Identity & Heritage, Chinatown Vancouver, Cultural Fusion, Literary Events, Main Page, politics and politicians, Rev. Chan Legacy Project, Theatre, Todd Wong, Vancouver Heritage and History on December 31, 2008 by Todd. How do you top being given a BC Community Achievement Award from BC’s premier? Maybe being voted one of BC’s 150 most interesting people for the Royal BC Museum’s display “The Party” celebrating BC’s 150 year history. 2008 was an amazing year for me personally. 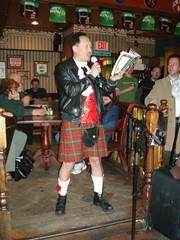 Not only was the 2008 Gung Haggis Fat Choy dinner a big success, but there were also wonderful events for Historic Joy Kogawa House, the Gung Haggis Fat Choy dragon boat team, Tartan Day proclamation, and many other personal achievements… not the least winning the “Battle of the Bards” as Robbie Burns. Gung Haggis Fat Choy puts a dragon (not a snake) in the 5th Annual St. Patrick’s Day Parade. Check out the Vancouver Sun article. heroic labor of Anton Wagner and Chris Kurata in Toronto and Ann-Marie Metten and Todd Wong in Vancouver, the house and tree would not have been saved. Walling on my right,Terry Hunter is immediately behind Savannah. Also on my left is fellow kilt wearer Gordon Barrett in his Irish Pipes and Drums uniform – too bad you can’t see our kilts. It’s a nice photo of Joy, and the photo credit is attributed to Todd Wong. Cool! MAY issue of Canadian Immigrant features a short interview with me about my views on Asian Heritage Month. back row: Gerard, Martin, Alissa, Steve, Jim, Stephen, Steven, Devon, Raphael, Dan, Todd, Gerry and Jonas. front row: Joe, Paulette, Tzhe, Leanne, Joannae, Cindy, Marion, Debbie, Dave, Keng, Colleen, Wendy and Tony. 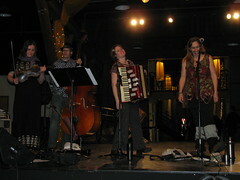 This entry was posted in Asian Canadian Cultural Events, Main Page, Scottish, Gaelic, Irish Celtic events and stories, Todd Wong on December 31, 2008 by Todd. But most important of all, the performers are people that I have met through my intercultural travels and adventures. 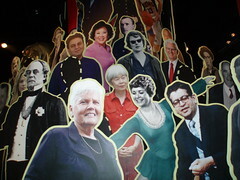 I select performers that inspire and astound me, and whom I admire. I select performers who are enthusiastic and appreciate what Gung Haggis Fat Choy is about. Bagpiper Joe McDonald tries on the Chinese Lion head mask for Gung Haggis Fat Choy 2008 – photo Jaime Griffiths. Gung Haggis Fat Choy is a dinner like no other. 9:30pm After Party Chinese New Years Eve Countdown. #400 – 180 Keefer St.
was featured in the 2004 CBC television performance special “Gung Haggis Fat Choy.” Principals Qiu Xia He and Andre Thibault have traveled around the world and bring their worldly perspectives back to Canada to share. They will be bringing percussionists with them for their 2009 performance. 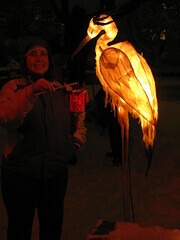 Check out Qiu Xia's project for the Cultural Olympiad on Feb. 1st in Vancouver's Chinatown. Bob Wilkins wanted to create a new pipe band that acknowledged and drew on BC's Scottish and Chinese Canadian history. He asked me if we could work together and create something special. We are imagining Scottish bagpipes and Chinese drums with Lion dancers… We don't quite know what is going to happen – but the sound of 10 bagpipers at the restaurant with drums should be wonderful! Dr. Jan Walls is an expert in Chinese history and language. He missed our 2004 Gung Haggis Dinner because of a “command performance” invitation by Yo-Yo Ma at the Peabody Essex Museum in Boston. Jan was a smash hit at our 2005 dinner, and this time he's going to do something special for Robbie's 250th birthday! Joe has brought his special musical talents to Gung Haggis Fat Choy for every dinner since 2001. We have performed on CBC Newsworld and The National together. Joe's band Brave Waves was featured in the CBC television performance special Gung Haggis Fat Choy. One of our most requested performances is our “Gung Haggis Rap” – our take on Burns' immortal Address to a Haggis – which is going to be featured in a BBC Radio Scotland special radio show for Burns' 250th. Rita's book of poetry “Forage” won the 2008 BC Book Awards Dorothy Livesay Prize for Poetry. Like Burns, she has a keen eye for social justice and equalization of the sexes. She is Assistant Professor in Critical and Cultural Studies for Emily Carr University of Art and Design. justice, ecology, and contemporary poetics. Leith is an expert in Burns, and has just been interviewed by BBC Radio Scotland for their 250th Anniversary Burns radio special. She is also the director for the Scottish Studies Program at Simon Fraser University. She has heard much about Gung Haggis Fat Choy and looks forward to her first Gung Haggis experience. Boy… will she be surprised! Children's price is $40 + $4.00 = $44 (ages 13 and under). $600 + $20 service charge. Tickets can mailed out or picked up in advance, or held at will call. except designated sponsor, performer and VIP tables. If you would like to have 2 tickets at the VIP table or performer's – please sponsor it for $600. This entry was posted in Bagpipes, Cultural Fusion, Gung Haggis Fat Choy DINNER 2009, Main Page on December 30, 2008 by Todd. I ran the following article on my blog www.gunghaggisfatchoy.com – which is syndicated into some other blog feeders…. Vote for Kilt wearers in the upcoming Vancouver civic election! 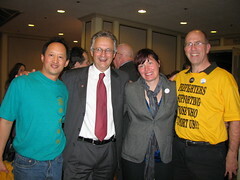 It seems an amazing coincidence that the winning 10 elected city councilors and mayor, all attended the 2008 Gung Haggis Fat Choy Dinner: Councilors David Cadman, Raymond Louie, George Chow, Tim Stevenson, Heather Deal, Suzanne Anton, former Councilor Ellen Woodsworth, rookie councilors Andrea Reimer, Geoff Meggs and Kerry Jang + MLA Gregor Robertson, and then current mayor Sam Sullivan (who did not run in the election). Defeated mayor and councilor candidates Peter Ladner and Elizabeth Ball, as well as BC Lee (who did not run) had attended past dinners, along with BC Lee – but they did not attend the 2008 dinner. At the Gung Haggis Fat Choy dinners… we recognize and respect all our hard-working politicians. They all contribute to a vibrant Vancouver and it is important to recognize their contributions and support to help support our beneficiary organizations: Historic Joy Kogawa House, Asian Canadian Writers' Workshop/Ricepaper magazine, and the Gung Haggis Fat Choy dragon boat team. 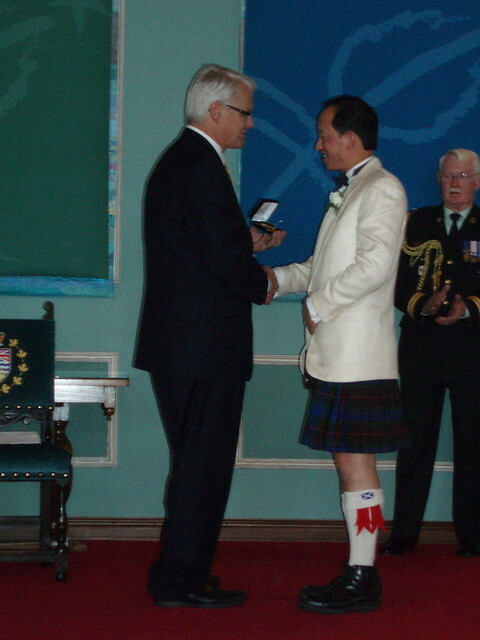 The first time we saw Gregor Robertson in a Kilt in 2008 – was at the Gung Haggis Fat Choy dinner…. photo opportunity on April 4th. Parks Commissioner Stuart Mackinnon didn't even own a kilt, until after he joined the Gung Haggis Fat Choy dragon boat team! This entry was posted in Bagpipes, Commentaries, Cultural Fusion, Kilts - wearing kilts, Main Page, politics and politicians, Scottish, Gaelic, Irish Celtic events and stories on December 27, 2008 by Todd. Intercultural Love Stories… or almost-love stories do happen. Once upon a time, I had a non-girlfriend who was half-Jewish, half-Caribbean. Then we dated. Then we didn't. Today, I still listen to Leonard Cohen music. I have friends who have Jewish ethnicity. And I have a girlfriend who claims we share the same cultural identity – multi-generational Canadian. But she doesn't have any Chinese DNA. Writer Kevin Chong has written an interesting Christmas time short story for the Georgia Straight that traverses multi-ethnic cultural definitions. Afterall… Love knows no boundaries, right? In the end, we are all Canadians in love… or out of love. What’s an angsty Chinese guy to do when his wry Jewish non-girlfriend leaves him lonely during the holidays? This entry was posted in Canadian Identity, Cultural Fusion, Hapa culture, Literary Events, Main Page on December 25, 2008 by Todd. Be nice to strangers…. you never know who you are going to meet. I put my snow tires on my car only after it started snowing in December. I am very happy with my all-season radials. But I knew that with more snow expected last Wednesday it was time to put on my snowies. On Tuesday Dec 16th, I drove to 3 service garages, who all were booked solid until Thursday. But I wasn't going to wait. I went down to Wall-Mart and bought a new tire iron. I had to buy the tire iron, because when I got my present car from my parents last year, I couldn't find the matching tire iron. My dad always takes his cars to the garage to have the tires changed. Personally, I prefer changing my own tire. There are some pretty fancy extendable snow brushes for your car for $29. I decided to upgrade from the little skinny wooden classic for $2.97. I bought a slightly larger plastic one with a foam grip for $4.97 + a new red ice scraper for $1.97. I also looked at the aluminum and steel show shovels for $12.99 and $15.99. I thought it would be good to have an extra shovel for my car… but since we already had the plastic snow shovels at home, I didn't buy one. One week later, I now regret not buying a shovel for my car. But I am glad that I bought the extra kitty litter. My cat is glad too. So… there I was on Monday morning, after the big winter solstice snow storm. I drove into Vancouver to pick up my friend Judy Maxwell who is helping me organize the Gung Haggis Fat Choy dinner this year. I had to pick up Judy at a place near South False Creek, close to Monk McQueen's Restaurant. Driving down 6th Ave. wasn't bad. The roads were plowed, but the cul-de-sac near where I was meeting Judy was deep. There was loose snow on top of icy hard pack. My car was stuck. I tried to rock it back and forth, but it was still stuck. A SUV came into the cul-de-sac, and I waved to the driver to go around me, as he was headed for the building's covered parking. A few minutes later, the drive came out of the parking lot, and came by to check on me and ask if I needed help. My car was still stuck. “Todd,” the stranger exclaimed when he recognized me. The driver was wearing a hat and thick coat. I didn't recognize him in snow gear. Here's the picture by Patrick Tam, with Geoff Meggs, that I put on my blog. I've known Geoff for a few years now, after first meeting him at Jenny Kwan's Scotch tasting fundraiser. Geoff came to the Gung Haggis Fat Choy 2008 dinner this year, and we kept crossing paths at other events through 2008. He has always seemed nice and thoughtful, and I was very impressed after watching him during the election at all-candidates meetings. At the Vision Vancouver nominations election that determined who would be the 8 candidates for the Nov. 15th Election, I was standing nearby Geoff and his family when the names were called. It was great to share in the wondeful supportive family vibe that he had with his loved ones. There was such relief and happiness when his name was announced. Anyways…. Geoff quickly helped push my car out of the snow, with the aid of two other fellows walking by. Geoff gave some advice about rocking the car back and forth. With the additional muscles, the car moved more easily out of the stuck snow. Once moving, I didn't dare stop. I waved my arm outside the car window in thanks. I just wanted to share this small tale of Geoff Meggs helping his neighbors and strangers… as a good snow-maritan. I think he's a good man, and I wish him luck for his first term as city councilor. This entry was posted in Main Page, politics and politicians on December 24, 2008 by Todd. Help your neighbor in the snow. Meet a stranger… make a friend! 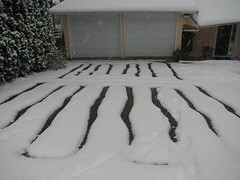 The snows have been cold and deep in Vancouver since Saturday Dec 13th. Winter Solstice saw even more white stuff fall on Dec 21st. On a day when radio stations were sharing the message, “Stay home, if it's not urgent!” We went out for the annual Winter Solstice Festival. The crowds were smaller than normal at the Dr. Sun Yat Sen Gardens, and there wasn't the normally l-o-n-g lineup for the candle light labrynth at the Roundhouse Community Centre. After saying goodbye to our friends, and giving them rides to the Skytrain and the West End, my girlfriend and I cleared the sidewalk in front of her Kitsilano apartment. We also cleared some of the snow around my car. I climbed into the my car and turned it around. I saw a small lone figure standing at the Eastbound bus stop. She had stood there for much of the time we had been clearing snow… probably 30 minutes. We hadn't seen any buses traveling on Cornwall St. I stopped and offered her a ride to downtown, as I was headed to my parent's house in North Vancouver. Fatima was grateful for the offer. She said that a Skytrain station or Seabus terminal would be perfect. I asked her where she was going. I told her I was driving across the Lion's Gate Bridge, and could take her there. I quickly found out that she lived at 29th Ave. and Lynn Valley Road, and offered to drive her there. Fatima has been in Canada for 17 years. She is originally from Tehran, Iran. She told me that Northern Iran always gets snow in the mountains, so she isn't unfamiliar with snow. But this snow is playing havoc with her work schedule. The previous day, the buses weren't running in West Vancouver's British Properties, so she had to take a taxi home. And on Sunday night, it was cold and buses weren't running as frequently. spiritual services, Buddhist, Christian, Evangelical, First Nations, and others. We quickly found common ground in accepting that spirituality is important, and that there is one common God, spirit, universal energy – by whatever name people are using. This entry was posted in Main Page on December 24, 2008 by Todd. 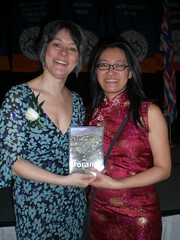 Rita Wong BC Book Prizee winner for Poetry will be our featured poet for Gung Haggis Fat Choy 2009 dinner. I first got to know Rita Wong around 2002, when I helped organize the first Asian Writers' Workshop Community Dinner. We recognized Rita then as a past winner of the ACWW Emerging Writer Award, which helped he unpublished manuscript become the award winning book of poetry titled Monkey Puzzle. I think it is fitting that Rita Wong will be our featured poet for the 2009 Gung Haggis Fat Choy Robbie Burns Chinese New Year's Eve Dinner. In many ways, we can find similarities of the themes and social conscience between Robert Burns and Rita Wong. Burns is often said to have been ahead of his time in promoting social justice, equality, and women's rights. Rita certainly lives these issues, and is always pushing the boundaries. At last year's dinner, her newest book Forage – was a prize donated by Harbour Publishing (which has been a continual supporter of the Gung Haggis Fat Choy Dinner). Forage was nominated for the the 2008 Dorothy Livesay Poetry Prize at the BC Book Awards. We caught up with Rita at the BC Book Prize Soiree and gave her the lastest copy of Ricepaper Magazine, which featured some of her poems. Rita then went on the BC Book Prize tour and read her “duet” poem published in the magazine with her new friend and fellow award nominee Meg Tilly – nominated for the Children's Book Prize. Forage went on in April to win the Dorothy Livesay Poetry Prize at the BC Book Awards. Lew, Todd Wong, Leanne Riding. This entry was posted in Cultural Fusion, Gung Haggis Fat Choy dinner, Literary Events, Main Page on December 24, 2008 by Todd. What do you do on the shortest day/longest night of the year? December 21st…. and the city is being suffocated by blankets of snow. Traffic is snarled to a halt – if people dare to go out. Christmas shopping is threatened. 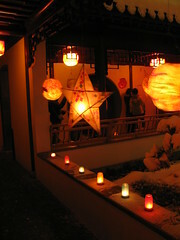 We went to see the James Bond movie, then mellowed by checkout the lantern procession at Dr. Sun Yat Sen Gardens + the candle light labrynth at the Roundhouse Community Centre. 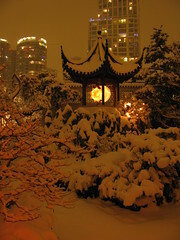 Many people entering the Dr. Sun Yat Sen Gardens remarked that they've never seen the Gardens covered with snow. It really added a beautiful vision to this multi-faceted jewel in Vancouver. Trust me to find an accordion…. Zeedillia performed at the Roundhouse. 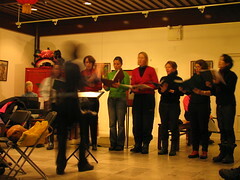 The “Trouble Makers” are a female choir, performing at the the Dr. Sun Yat Sen Gardens for Winter Solstice. This entry was posted in Accordions, Chinatown Vancouver, Cultural Fusion, Main Page, Vancouver Area Adventures on December 23, 2008 by Todd.